SAIS Creag Meagaidh Blog » The Land of the Low White Cloud. (Above) Very misty and quite gloomy for most of the morning. The Post Face of Coire Ardair is somewhere in the far distance. Reasonable cover of snow all things considered. 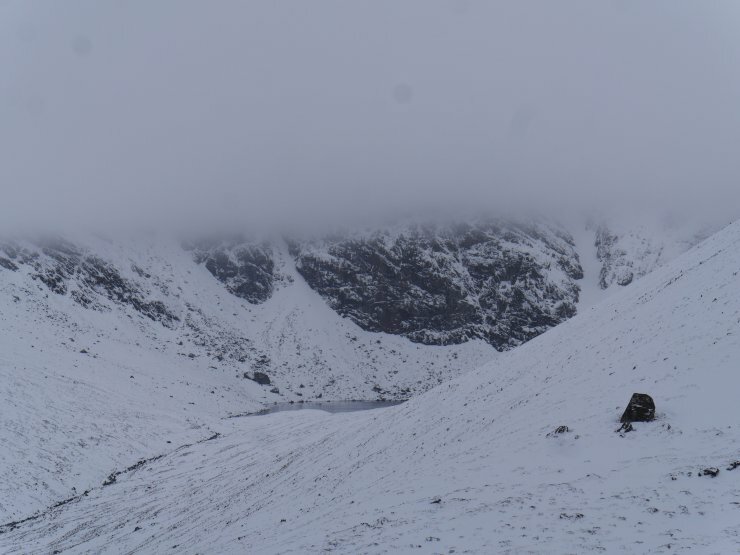 The main Coire Ardair path still had drifted snow on it but wouldn’t hinder progress to anyone wanting to get up to the lochan. 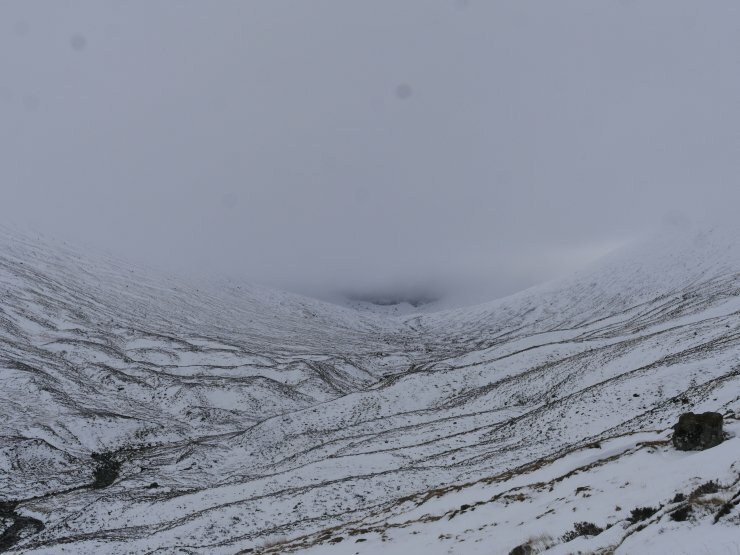 (Above) Having descended beneath the cloud base in Coire Chriochairein after midday I managed to get a distant view of the lochan beneath the crags of the Post Face. 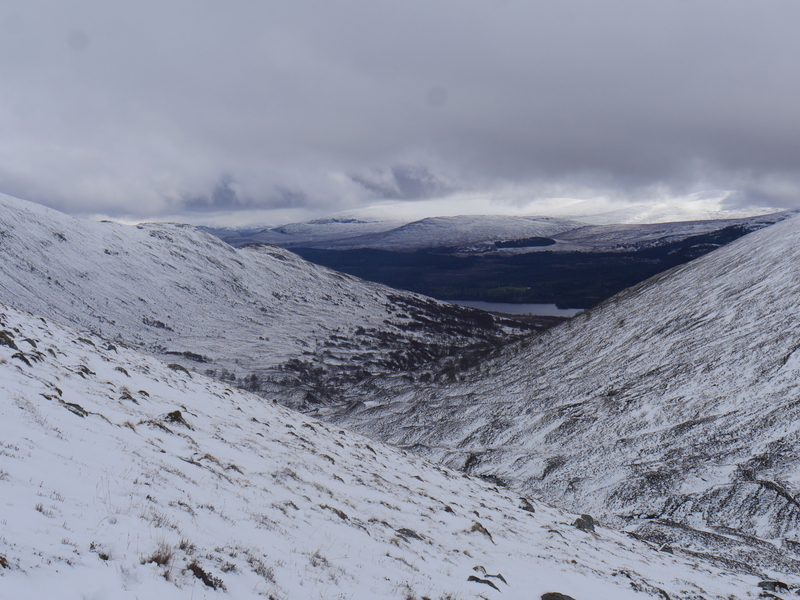 (Above) A view down to Aberarder and Loch Laggan. Cloudbase beginning to lift and the suggestion of some brightness in the far distance.